Smart-ID is a new app which gives you an alternative login option to your Estonian ID card, or Mobile ID. You can sign into LeapIN and your banking services (LHV, Swedbank and SEB) using Smart-ID. It allows you to sign in, as well as authorise bank payments from your Estonian accounts. And LeapIN added Smart-ID as a login option in Nov 2017, to make life easier for all of our e-resident customers. You'll need your Estonian ID card handy to sign up and start using the app, but that's a one time thing. 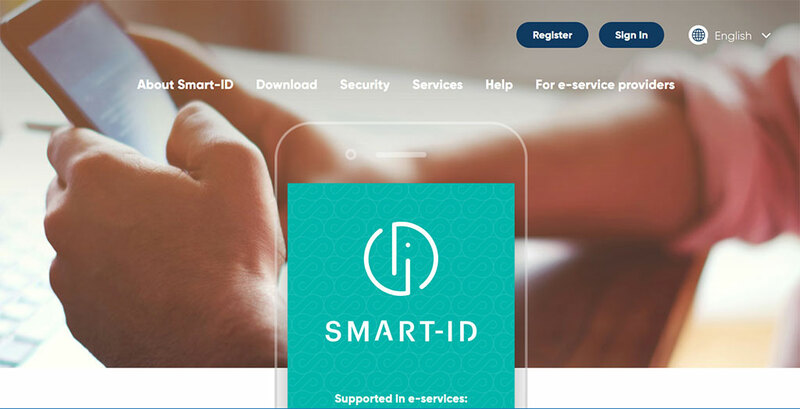 Once you're up and running you'll never look back, and it's very possible that more and more Estonian services will be adopting Smart-ID in the future. Smart-ID is the excellent new app which helps you access your Estonian e-services. Created by SK ID Solutions, it provides a much easier and more effortless login option, compared to the combination of your ID card, reader and ID card software. It allows you to log in and authorise payments from your Estonian bank accounts, as well as logging in to multiple other services. The ease of use of Smart-ID can't be overstated, with the simple interface and intelligent use of push notifications providing a smooth login experience. It also means using your ID card, card reader, or even ID software will be a rare occurrence. For the time being, you'll need your ID card to sign up with LeapIN, as we need you to authenticate yourself and digitally sign 3-5 documents. Once you get into the day-to-day running of your business, Smart-ID is a great option for logging in and accessing your account. You should only need your ID card once a year after this, to sign your annual report. It's available for both Android and iOS devices (including smartphones and tablets), and we'd really recommend downloading it from your respective app store, if you haven't already. 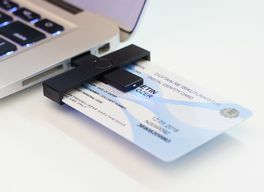 As you might already know, there were a lot of issues recently with Estonian ID cards, which affected citizens, residents and e-residents alike. These were related to a potential security vulnerability of the cards, and required all affected cardholders (around two-thirds of all cardholders) to update the certificates on their card. This should have been a simple process, which could be done remotely with your card reader and ID card desktop application. However, due to the incredible demand, and workload for the servers, updating the certificates became a difficult and at times impossible task. This left people without working ID cards, unable to sign in to their banks and other service providers like the Estonian tax board, Statistics Estonia, and LeapIN. So far, thousands ID cards have been replaced free of cost by the Estonian Police and Border Guard Board because of failed update process. The simple solution here - Smart-ID. With Smart-ID, you won't lose access to your banks or services, even if there are issues with your ID card. And once you've signed up for Smart-ID you can use it for three years, regardless of whether you lose your ID card or if it expires during this time. This means much less stress in case of any more problems in future! And this is even more relevant for e-residents, who need to travel a lot further to replace their ID card in case it stops working. They also can't access Mobile-ID, which would be the alternative option for Estonian residents. On top of all this, it's just as secure as your ID card and reader. With Smart-ID you create your own 2 PIN codes for logging in. As you've created them, you simply have to remember them. As long as no-one knows your PIN codes, no-one can use Smart-ID to access any of your secure online services, even if they got access to your phone. Also, in case you're a Mac user, you'll already know about the issues you face trying to use your ID card and card reader. Macs can be incredibly temperamental when it comes to card readers and ID card software, and this can be frustrating. This is another reason to consider Smart-ID as an alternative. It won't let you down or stop you from simply accessing your bank or making payments. Smart-ID is still only in its infancy, and given the recent issues with ID cards, it's popularity is growing. Currently, Smart-ID can only be used as a means of authentication, and payment authorisation in your online bank. The auditing process has already begun to make Smart-ID a legally binding and recognised digital signature option, which means by the end of 2018, you'll rarely need your ID card for anything at all! Also, it's entirely likely that the problems with physical ID cards aren't finished yet. The Estonian government is considering extending the validity of ID card certificates from 3 years to 5 years, which in the long run could prove to be a good decision. However, this will mean all e-residents needing to update their certificates once again in early 2018, and more potential technical and compatibility issues arising. If this happens, having Smart-ID will be a godsend, and with more downloads and more users, the case for Smart-ID to be capable of digital signing will only become stronger. Well, things are rarely without imperfection, and Smart-ID is no exception. There was one ongoing issue, for users with special characters in their name, including ă, ş, ğ, ç and others. When you sign up with Smart-ID, they check your details against the Estonian population registry. Unfortunately, there were cases reported of ID cards not featuring the special characters in your name, while the population registry does. This mismatch in names causes the background check to fail, and stopped people signing up for Smart-ID. At the time it affected 10% of all Smart-ID sign-ups. The good news we can report though, is that this issue is now fixed and resolved. So there should no longer be any issues when signing up for Smart-ID. And if you do run into any problems, don't hesitate to let their team know, so they can get to fixing them right away. In case your ID card is ever lost or stolen, your Smart-ID app will carry on functioning, whilst you go through the process of getting a new card. This is particularly helpful if you're an e-resident, and you need to travel to collect your card. Absolutely. If you're a citizen, resident, or e-resident of Estonia, you can use Smart-ID. And it can be accessed anywhere with wifi or mobile data access, so you'll never be without it. In case you aren't aware, Estonian mobile phone companies offer a similar service to Smart-ID, called Mobile-ID. Mobile-ID can be accessed from any mobile device with an Estonian SIM card, and allows you to log in to your Estonian e-services, authorise payments, and make digital signatures. Obviously, there are a few drawbacks of this. It's only available with an Estonian SIM card, and firstly, if you're not in Estonia you can't get your hands on one. More than this though, even if you can get one, you're tied into a phone contract which you're paying for but unlikely to use. This is where Smart-ID comes in as a more helpful alternative, as it can be downloaded on used on any Android or iOS device, regardless of your SIM card. Nope. It's a free to download and free to use app, for all applicable users. Smart-ID transactions are paid for by the companies who let you use their e-services. Well, first things first, download the app. You can get it in the Apple app store, Google Play store or the Smart-ID website. Once you've got it downloaded, you can register for an account. You can start this in the app, and then you'll need your ID card and reader to finish the process. This is a one time occurrence for the registration, and you won't need your ID card to use Smart-ID in future. And that's it! You can start using your Smart-ID account straight away - test it with LeapIN, LHV, or any of your other Estonian e-services. You can see more information about downloading the app on the Smart-ID website, and in our own FAQ.